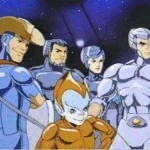 For this weeks Toyark discussion, I want you all to think of classic and modern tv shows and cartoons. Which classic or modern tv show or cartoon has or had the best to representations? Was it something newer like the He-Man toys of 2002 or Transformers Animated? 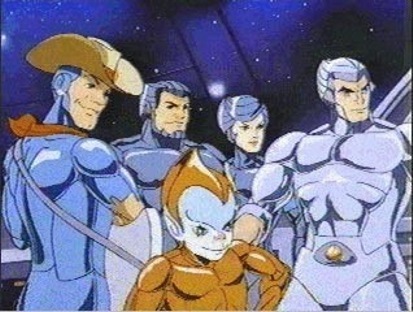 Or how about classics like Silverhawks, Thundercats or G.I. Joe? Join in to let us know. We’ll have the highlights next week. Which Shows Had The Best Toy Likeness? Tough question. The two that sprang to mind were Robots in Disguise and TMNT. Both toy lines were very well done and matched the show quite well. I'd say Transformers Animated. Whether you liked the show or not, the toys did an amazing job of capturing the dynamic lines of both robot and alt modes of a given character, all within a single transforming figure. Of course, this is excluding all Muppet-related lines, as they'd win hands down every time. I think Transformers Animated did a GREAT job. Mattel took more articulation away from their JLU figures to match the animated aesthetic more, but Hasbro managed to maintain the highly styalized(arguably the most styalized Transformer designs ever conceived and translated into plastic) designs from Animated and managed to retain full articulation on all of the figures. This is rare in my book and Animated has had a strong following, both for the show, and toyline. It's rather unfortunate that we never got to see Omega Supreme and other fan-favorites in the toyline. It is one of the series that will be sorely missed, I can't say the same for any of the Armada trilogy series(which although popular depending on who you talk to, in my opinion lacked a strong story, something which Animated had). Animated was a labor of love and definitely one of the better TF series in the past 10 years. Macross is another series that has had good translations into toys. Yamato has been making VF-1 Valkyrie toys since 2001, and has made significant improvements since then. Unfortunately their lines have been plagued with suspect quality control, but thankfully, this has been reduced in recent times. Their designs are ambitious, I personally hope that attention to quality control is increased with particular attention to joints that might break in the future. They have made 3 toylines for the VF-1, the 1st being the v1 1.60 series, then the groundbreaking 1/48 series, and currently the v2 1/60. The v2 1/60, aside from the collar fuselage showing above the chest in battroid mode, is the closest to the anime, matching the sleekness of the animation lineart while maintaining a balanced appearance in all 3 modes, and having a visually "cleaner" fighter mode than previous series. Aside from the potential shoulder breakages on all VF-1's in the series before the Max Customs were released(and so far no VF-1D shoulder breakages), it's the most toyetic of all Yamato VF-1 toys, not in the sense that it is dumbed down and aimed towards kids, but in handling; it's the most durable and solid VF-1 toy that Yamato has made. The armor is snug, yet very user friendly in that it is easy to remove, and the detail wasn't compromised whatsoever. The canopy has a beautiful finish. In my opinion, it's the most fun, modern VF-1 toy to handle. Takatoku's 1/55 VF-1 line broke ground in the 80's, based on the revolutionary VF-1 Valkyrie design. Simply put, look at all of it's competitors in the 80's, not 1 Transformer could even compare to it back then, and do you ever wonder why G1 Jetfire is so popular? It's basically a 1/55 VF-1S Super Valkyrie with VE-1 ELINT SEEKER nose and repainted! Even now, there are very few mass market jet Transformers that can compare to the 1/55 VF-1. In addition, Bandai has made 1/72, anime accurate Macross Frontier model kits, and DX VF-25 toys. The model kits aim for accuracy while the DX's go in a different direction, going for the bigger, tougher look with sleek fighter mode that Kawamori Shoji originally envisioned for the VF-25(also there are distinct similarities between the toys he helped design, be it the original 1/55 VF-1, 1/60 MP Starscream molds, and DX VF-25's). The 25th Anniversary/Modern Era G.I. Joe line also did a great job on paying homage to the ARAH G.I. Joe line. It took Hasbro some time to make everything consistent, but by wave 5, articulation and range of motion had increased to the point where you knew, any figure from then on out would be great. There were different benchmarks for the line. The 1st waves were okay, wave 3 showed a significant jump in quality and design, and wave 5 was the definitive jump. Less articulation being hindered, more sturdiness; the 25th/ME line was a line of constant improvement. You can definitely feel the influence of the 25th line in the Rise of Cobra line, as most figures have been high on quality and very playable/sturdy. Japanese toys tend to scream accuracy, but they are also a more collector driven market, so I'll exclude them from my choices first. After that, I'd have to say Transformers Animated, followed by GI Joe 25th Anniversary figures, and then Inhumanoids. These have the best mesh of accuracy to articulation and detailing for animation property toys. MU is quickly catching up though as they do animation 3 packs, and other figures. So I'll even include the Firestar 3 pack in that. Toy Biz era Marvel lines get skipped because of MU, and because of other drawbacks to their usage. Transformer Animated, cause noting beats old line drawing over simply scanning the toys. All the Bruce Timm DCAU based toys have very good likenesses to. Not much articulation to speak off, but they looked like their animated counterparts. And not as well known everywhere, Action Man and Max Steele looked exactly like their action figures (well, that applies to all Mainframe TV shows). TF ANimated did a great job as far as newer toys are concerned. I don't think however there's one line only that stands above the rest, plenty others have done a good job via accurate representation. I loved the toys from Batman the animated series. They represented the cartoon look pretty accurately and set the bar for all the animated DC toys that followed. And how about Teddy Ruxpin? He looked just like he did in the cartoon and told stories, although you could hear the gears working as he did so. I had one and my brother broke his mouth off but he still worked. It was kind of creepy seeing his gears moving through the hole in his face. In terms of likeness to likeness, I'd agree that Ultra Magnus from the Transformers Animated line is probably closest. I'd say Masterpiece Optimus Prime is a close second though. However, in terms of the level of difficulty from the original source material to the toy, I'd say Revenge of the Fallen's Optimus Prime would be right in there. I'm not sure there's been a more complicated character committed to plastic before, and with a little bit of paint RotF Leader Prime is pretty close to the big screen version.